Ballard has been making Proton Exchange Membrane (PEM) fuel cell stacks for more than three decades. During that time we’ve commercialized several generations of products with relentless dedication to innovation. Zero emission technology is the future and we are delivering it today. We’ve always understood that our products must work exceptionally well - in all conditions - and differently for each application. Yet they also need to be commercially viable and offer a compelling economic value proposition to the end user. As such, we are excited to announce the next generation of Ballard’s fuel cell stack platform, the FCgen®-LCS. The name LCS is an acronym for “Liquid Cooled Stack”. However, the modest name of the LCS belies the true scope and impact of this new product platform. FCgen®-LCS is the culmination of more than 30 years of learning from research and development efforts and from millions of hours of real world vehicle operations in a wide variety of challenging applications and climates. When designing FCgen®-LCS, the team here touched just about every part of the stack, making in better in so many ways. At Ballard, not only do we have the advantage when it comes to field experience, we also have a huge leg up when it comes to product scope. We make our own low cost carbon bi-polar plates and Membrane Electrode Assemblies (MEAs) where many of our competitors simply buy their MEA’s from an outside supplier. However, the MEA isn’t one size fits all – far from it. The same goes for the bi-polar plates. What works best for a light duty vehicle isn’t what works best for heavy duty vehicles and the components need to be specifically designed for the application – just like an internal combustion engine. 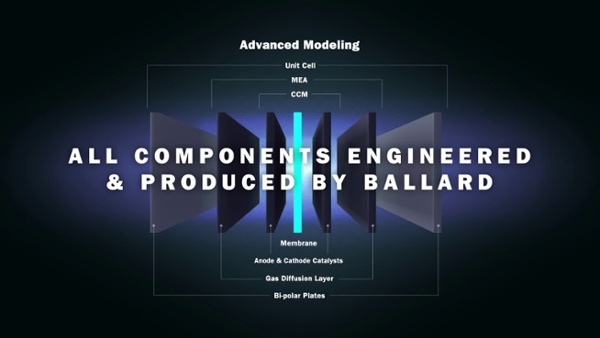 With the design tools and core technologies available at Ballard, we can tune each of the layers of the MEA for a given application to improve function, durability, life cycle cost and power density. At Ballard, we have a range of our own proprietary anode and cathode catalysts, electrodes, sublayers, membrane additives, seals, and plate materials from which we can quickly design and build new products. 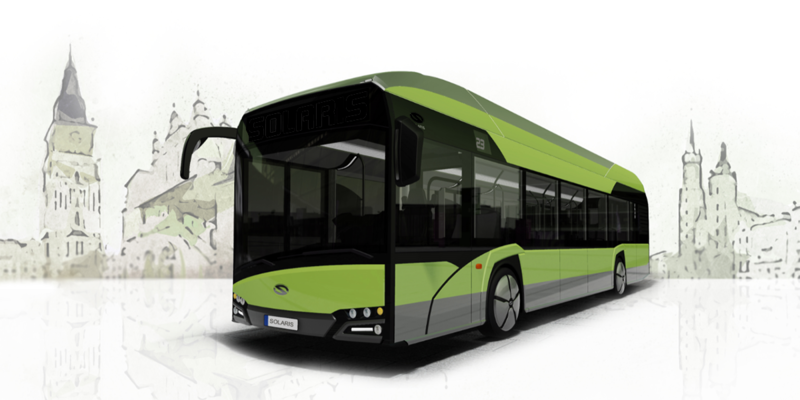 In the case of the FCgen®-LCS, the target market is heavy duty vehicle applications such as buses, trucks and trains. Our engineering team worked tirelessly to make improvements in every one of these areas by combining a host of state of the art technologies at every level in the fuel cell stack. Relative to our current generation of liquid cooled stack, the expected total cost of ownership will be reduced by 40%. This was a huge accomplishment as the FCgen®-9SSL is already pretty impressive from a cost performance perspective. Reduction in up front product cost is achieved by simultaneously lowering catalyst loading, increasing power density, improving unit cell performance and optimizing, high volume, roll to roll MEA manufacturing processes. Increased lifetime and product refurbishment with residual value to the customer further improve total life cycle cost. 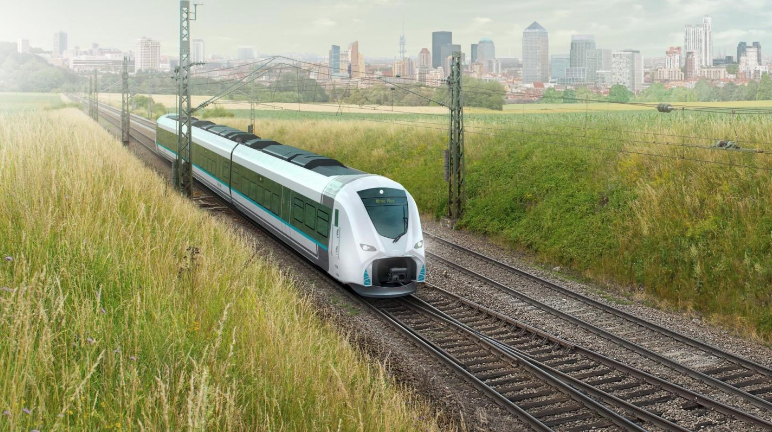 The new FCgen®-LCS will last 50% longer than the current platform. Such durability improvement comes from years of product development employing new proprietary catalyst treatments and layer design, better PEM membranes and PEM membrane treatments. With a lifetime of more than 30,000 hours, no more than one refurbishment is required during the entire lifetime of the vehicle - and stack refurbishment is easy as the FCgen®-LCS (like the FCgen®-9SSL) can be rebuilt. This is because it’s built from fully reusable carbon bi-polar plates and molded compression hardware, so the stacks can be re-cored with fresh MEAs. The old MEA’s are then recycled and up to 95% of the catalyst is recovered and reused. FCgen®-LCS enables tolerance to a wider range of operating conditions, including: including freeze start from -25oC (-13oF) without external energy; operation at a temperature of up to 85oC (185oF), thereby reducing cooling requirements; and compatibility with high- and low-pressure operating conditions. The unique design of the FCgen®-LCS stack and the use of less material improved its power density. In fact it’s 33% smaller than the previous generation and a single stack will produce up to 50 kW. We have made FCgen®-LCS easier to integrate into fuel cell systems. Several important features simplify system integration activities, including: higher power density significantly reduced the physical size of this stack, making it easier to fit into limited spaces; ports located at both ends of the stack provide easier access for fluids as well as the ability to mount the stack in several different orientations. This new fuel cell stack represents a game changer for heavy duty fuel cell vehicles. It’s better in just about every way and is the culmination of years of work by a committed team dedicated to making the world a better place. The FCgen®-LCS truly has the Power to Change the World®.